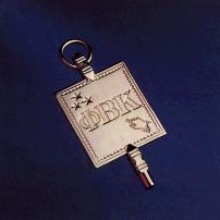 Members of Phi Beta Kappa wear a golden key. For over two and a quarter centuries, the Society has embraced the principles of freedom of inquiry and liberty of thought and expression. Phi Beta Kappa celebrates and advocates excellence in the liberal arts and sciences. Its campus chapters invite for induction the most outstanding arts and sciences students at America’s leading colleges and universities. The Society sponsors activities to advance these studies - the humanities, the social sciences, and the natural sciences - in higher education and in society at large. On February 22, 1938 The Alpha Chapter of Phi Beta Kappa for the Washington area was founded at the George Washington University, the first chapter of Phi Beta Kappa to be chartered in Washington, DC. Only about 10 percent of the nation's institutions of higher learning have Phi Beta Kappa chapters. Only about 10 percent of the arts and sciences graduates of these distinguished institutions are selected for Phi Beta Kappa membership. The ideal Phi Beta Kappan has demonstrated intellectual integrity, tolerance for other views, and a broad range of academic interests. Each year, about one college senior in a hundred, nationwide, is invited to join Phi Beta Kappa. Membership in Phi Beta Kappa shows commitment to the liberal arts and sciences, and to freedom of inquiry and expression - and it provides a competitive edge in the marketplace. Potential employers regularly contact the national office of Phi Beta Kappa to confirm the membership of job seekers who have listed Phi Beta Kappa among their credentials.